Only 50 Limited Editions Available! BRM and Corvette Racing are celebrating industry-leading technical precision, and the unique spirit of Corvette has inspired this Limited Edition custom-made timepiece. 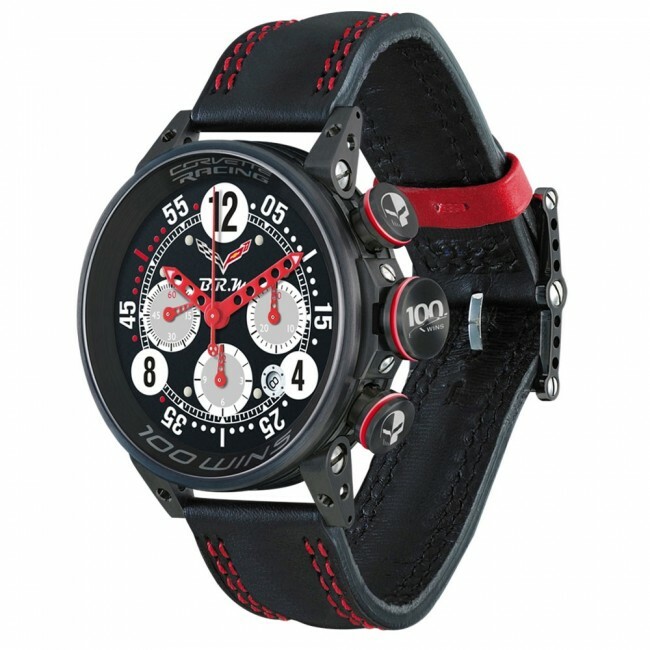 Comprised of only 50 numbered V12-N timepieces, the brand-new series in the Chevrolet Corvette C7.R Racing collection features signatures including custom-painted hands and dials in classic Corvette red, Corvette Racing crossed flags and “Jake” team logos, and "100 Wins" engravings on the case and crown. A titanium case with black PVD anchors the chronograph-automatic V12-N and includes crystal sapphire front/back, and is water resistant up to 100 meters. 3 year manufacturer’s warranty.